2,Realistic-looking strand light spiders; Holiday season outfit or Halloween custom lengths ; Gift wrap presents, decorate tree, wreath, window,wall. 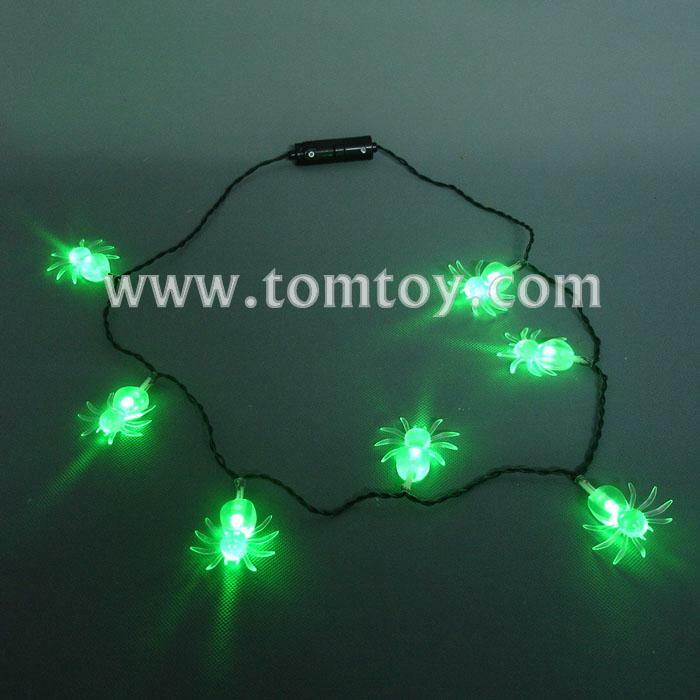 3,Features 7 White Spiders and 7 Green Leds .3 settings:fast strobe &fun strobe and constant steady. 5,Pull tab system, uses 3 L1154 batteries (included); Suitable for ages 5 and up; Each necklace is approximately 33” L.